The ad boys & girls are scratching their market-shaped heads. Reaching consumers effectively through standard media such as radio, TV, dailies or glossies is becoming harder and harder. BLA ventures into the future of advertising and branding and reports back with some important examples and trends of today and tomorrow. It’s becoming increasingly difficult to reach consumers in their own homes. That’s why the advertising industry is trying to enter people’s lives in a more oblique manner. More and more brands are taking to the streets with their ad campaigns. 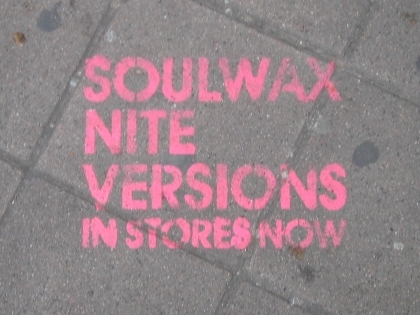 Instead of traditional campaigns, the sidewalks of urban hipster areas are branded with an eco-friendly logo template. A few rain showers later, the ‘graffiti’ is automatically washed away. Not a bad idea! This fresh approach of the target group is both sly and effective. 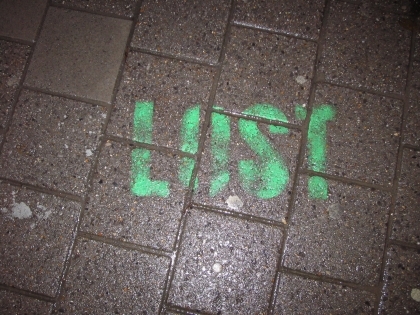 When the ‘Lost’ TV-series were launched in Belgium, this form of eco-friendly graffiti was plastered all over the busiest walkways in Antwerp and Ghent. The hype was supported by local celebrities driving around in ‘Lost’-branded vehicles. In the US, the scale of the campaign was much larger. Ten thousand bottles washed up on several beaches, containing the message: “Help. I´m Lost. You can find me on ABC on Sept. 22.” The series went on to become a big hit, and the original experience marketing supporting it should get some credit for that. 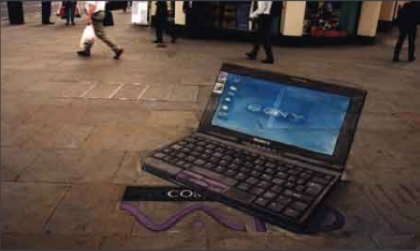 UK artist Julian Beever produces stunning 3D street art commissioned by some of the biggest brands. 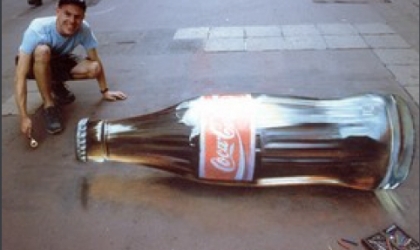 His sidewalk art can’t be missed by passers-by. This new form of advertising is often used, although it conflicts with some cities’ policies. It’s a fun form of advertising but it’s also polluting and sometimes even considered an act of vandalism. 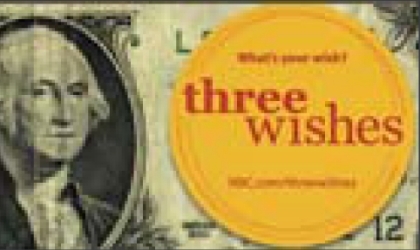 The American broadcasting network NBC conjured up an original marketing scheme for their reality show ‘Three Wishes’. A sticker with the show’s name was applied to 100.000 one-dollar bills, with the permission of the U.S. Treasury Department. The Wizmark isn’t your average toilet freshener. When someone is “whizzing”, he or she will hear a commercial message. A Dutch agency discovered the Wizmark in the US and launched the product in a pub in Arnhem. Which brands would like to pay to get peed on, remains to be seen. Of course, advertising has been creeping into the restroom for some time now, using a.o. Vespasius advertising space. 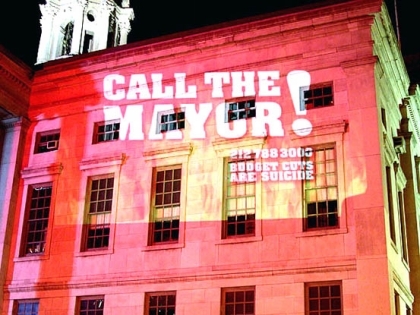 In the US, ‘guerrilla video projection’ has been a popular advertising tactic for years. Commercials are being projected onto sidewalks, skyscrapers … any location that gets a substantial amount of pedestrian traffic. Of course, the selected areas are mostly located in urban areas known for their nightlife or popularity with the ‘in crowd’. Also popular: huge plasma screens. 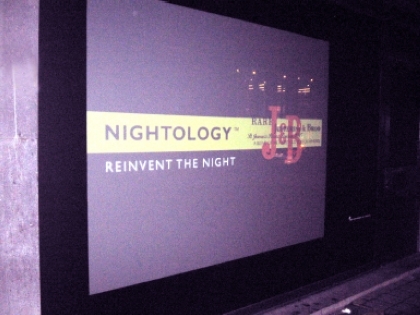 To promote J&B Nightology, several Brussels storefronts were taken over by branded screens. Evolving technology is a logical side effect of mankind evolving. Holograms, always popular with the sci-fi crowd, hasn’t quite taken off yet in the advertising world, although some of the bigger brands like Fedex, BMW and Apple have been using it for years. Lexus developed a high-impact hologram campaign in New York by projecting a driving car onto a Times Square storefront. The Lexus model garnered plenty of attention and the Lexus brand received a tech-savvy boost. 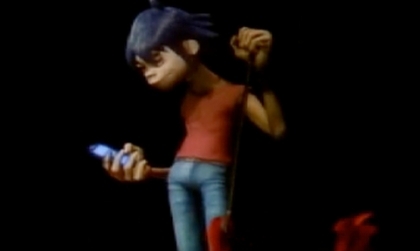 One of the most famous hologram successes has been the performance by The Gorillaz at the MTV Europe Music Awards. This ‘virtual pop band’ consists of cartoon figures, who were projected unto the stage in 3D. The crowd loved it and more 3D performances followed. Now that you mention it, why isn’t my TV projecting 3D ads into my living room yet? Viral ads have been the holy grail of early 20th century advertising. The Internet audience never seems to stop growing and ad agencies are scrambling with increasingly quirky ideas to get their hands on its enormous potential. Some of the first viral hits were scored by the movie ‘The Ring’ and the car brand Mini, who engaged the consumer with mobile interactivity. Text ads on your mobile phone were once seen as incredibly progressive and borderline invasive. Nowadays, mobile ads on smartphones and tablets are one of the fastest growing markets out there. By being available 24 hours a day, the consumer has also become available to advertising, day and night. Advertising has become a part of the consumer’s life on an increasingly intimate level. While the power of traditional advertising is waning, alternative forms of marketing and communication are taking over our streets and even part of our daily lives. Every available space is becoming advertising space. In order to conquer territory for your brand, your creativity must be powerful and innovative. Are you ready for what’s next? Are you ready to defend you market space?